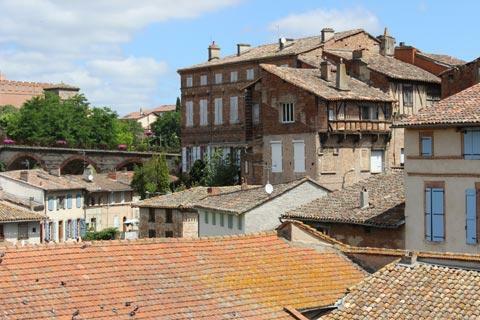 Gaillac is a historical town on the Tarn River 25 kilometres west of Albi and 50 kilometres north-east of Toulouse, in the Tarn department of the Midi-Pyrenees. 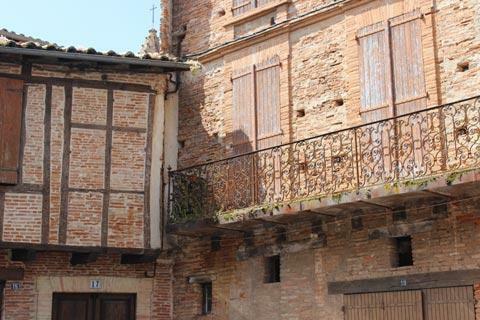 The town originally developed more than 1000 years ago around a benedictine monastery that was constructed here. 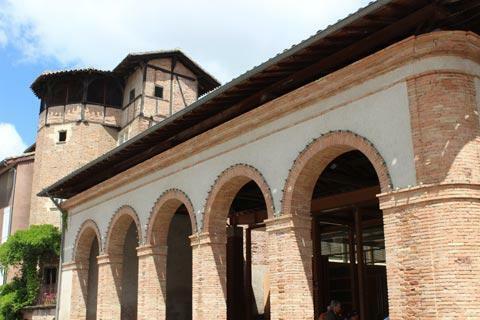 More recently the fame of Gaillac has been built on the fame of the vineyards that surround the town - Gaillac wines are internationally held in very high regard, and you will have ample opportunity to sample and buy them on a visit to the town and the region. ...But there are other interesting sights as well - museums, historical houses, parks - so allow time to explore elsewhere in the town. 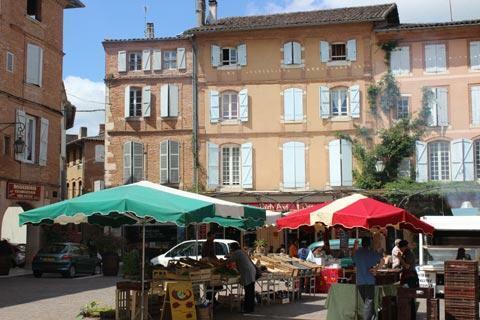 The historic centre is approximately delimited by the ring of boulevards that surround the old town. 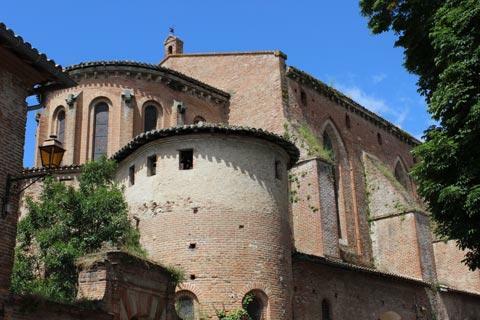 The most important monument in Gaillac is the Abbey Saint-Michael, with its origins in the 10th century, although it was substantially enhanced in the 13th and 16th centuries and renovated at the end of the 20th century. Adjacent to the abbey you can see some remnants of the buildings that were once associated with the abbey itself. There are interesting red-brick buildings and arcades around the Place du Griffoul, and many other properties constructed in the same red-brick as Toulouse and Albi around the city centre, often with interesting architectural highlights: among our favourites was the small carving of a horse on the wall of the 'Hostellerie du Cheval Blanc', reminding us that this was once a stopping point for the post riders. 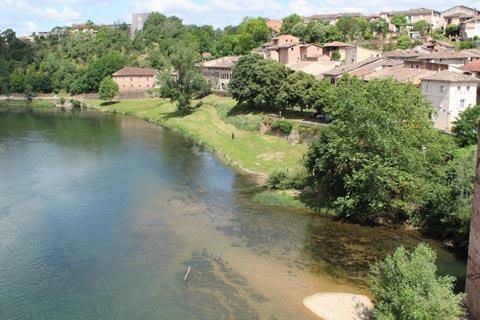 Lastly, be sure to cross the bridge for the view back across the river and rooftops of Gaillac. 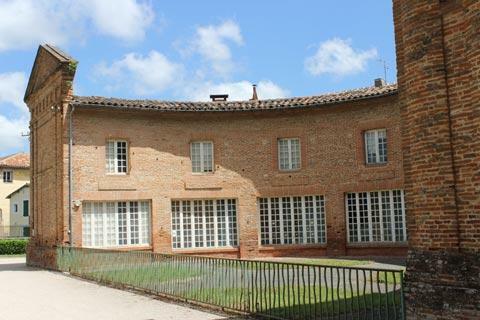 The wine house is a great introduction to the Gaillac wines - we found the staff very helpful for us novices, and there is a very wide range of local wines for sale. Apart from the Museum of the Abbey mentioned above, other museums to visit include the Museum of Fine Arts in the Chateau de Foucaud and a Museum of Natural History. The Chateau de Mauriac is close by and has been fully renovated by an artist called Bernard Bistes who now uses the large open spaces to good effect in displaying his works of art. See more about the castle and artist at bistes.com. 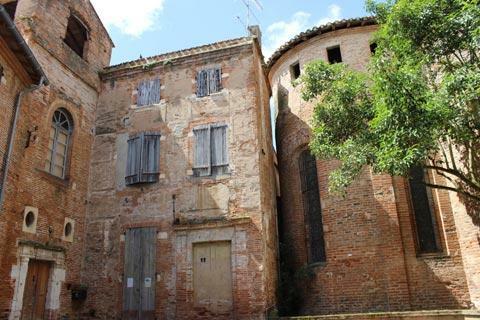 To the north-east of Gaillac you can visit several lovely villages including Puycelsi, Bruniquel and Castelnau-de-Montmiral and the town of Albi to the east of here is one of our favourite historic towns in France. 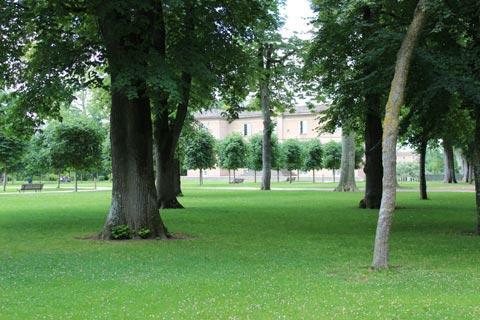 If you head south east from Gaillac towards Toulouse, at Giroussens (about 40 km) is an extensive English style garden spread over 7 acres and with a wide and interesting range of plants and arrangements - the Jardins des Martels. Nearby you can also take a boat trip along the Tarn River, a lovely way to appreciate the scenery.